Style Option? 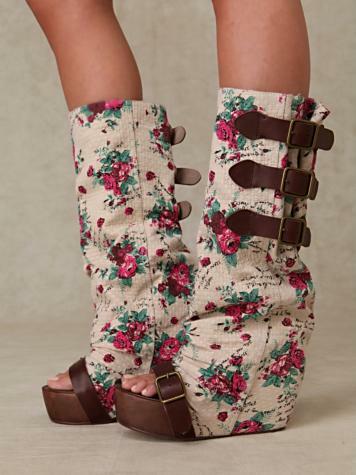 I present...the Floral Slouch Clog ($248). That's a whole lotta' foot floral! "Ladies let me tell you guys love shoes like these. I'm a guy and WISH my girlfriend would wear these. The height of the clog with the slouch of a boot is very, very chic. And NO these would not be better in flats. Guys like heels. Keep the flats for around the house. Pair it with a cute skirt!" What a descriptive male point of view…“pair it with a cute skirt” had me LOL'n.